Pantone, the company which chooses the color trends for fashion and design, has picked Monaco Blue – which is a cross between cobalt and navy, as the main color choice for Spring 2013. Other color choices they listed were: Dusk Blue, Gray Jade, African Violet, Nectarine, Linen, Emerald (which is the color choice for the year), as well as Poppy Red. What do you think about the color choices? Will you be wearing them? 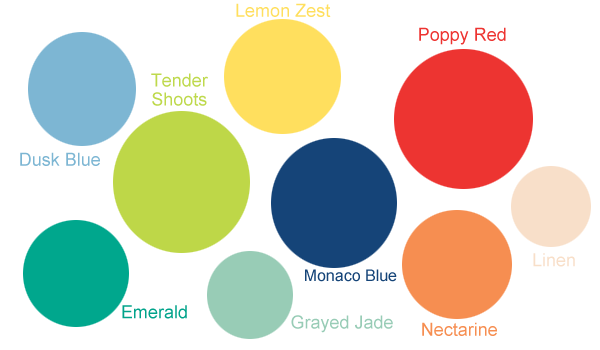 Below are some beads that we have in the Spring 2013 colors! This entry was posted in Jewelry News and tagged Colors, colors for spring 2013, jewelry warehouse, pantone. Bookmark the permalink.